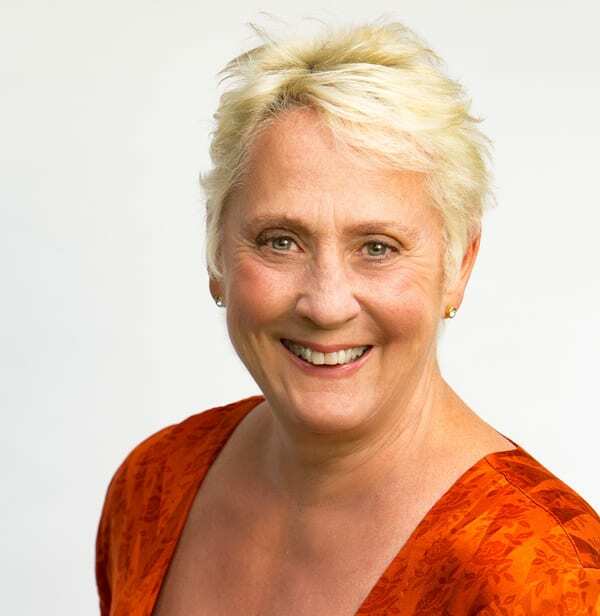 Cate Montana is a prolific writer and teacher who urges us to make friends with our egos. As a classic overachiever, Cate went after enlightenment with a vengeance and after 20,000 hours of meditation, she arrived at her answer. She really didn’t want enlightenment, the total elimination of self. She wanted to feel the deep recognition of oneness with all life—the bridge between enlightenment and ego that psychologists call transpersonal consciousness. Cate had a Master’s Degree in psychology, but had forgotten about it at this stage of her journey. In order to describe enlightenment, she found that she had to talk about what it was not and the result was her new book, The E Word: Ego, Enlightenment & Other Essentials. Cate says the ego is born as a baby comes out of the birth canal. First, it realizes that it’s physical, then that everything it wants is outside of itself—mommy and daddy, the Teddy bear, food, etc. These two realizations create the need for the ego and the sense of self. It continues to grow and include a name, a gender, ethnicity, then everything else the world tells it. Dr. Nancy joins in about the confusion it causes when the media and our society attack the ego’s insecurities telling us we need to be young and beautiful and thin. So we go through life making adjustments, buying certain things, living in a certain way, and acquiring more and more to achieve success by our society’s standards. Dr. Nancy stresses the importance of not allowing “stinkin’ thinkin’,” but deciding what is right for you, –what is your truth. There is nothing in our schools, our language or the media to teach us about spirit; instead seekers go after it themselves. While movies and TV address it, they do it in a supernatural way. “Let the Force be with you,” is classic. Cate praises movies for at least addressing the spiritual. However, both women object to the way it’s used in stories as a means to control other people or to change water into wine. They agree that people need to find what works for them to live their best life. Cate says it’s important to know that you’re okay just as you are. The yearning to be more is the natural evolutionary impulse that’s in all of us to change and grow. 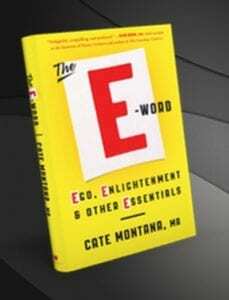 Check out Cate’s writings on her website, www.catemontana.com and her new book, The E Word: Ego, Enlightenment & Other Essentials. Dr. Nancy recommends it as a thought-provoking compelling read. Listen to this conversation for more details about Cate’s journey and teachings to unstick ourselves and our society.